Did you happen to read our February post about the local goats and sheep that’ll do your Nashville landscaping? It’s true, Nashvillians — you can not only hire hungry goats to tidy up your property, you can also get them to help you align your chakras. 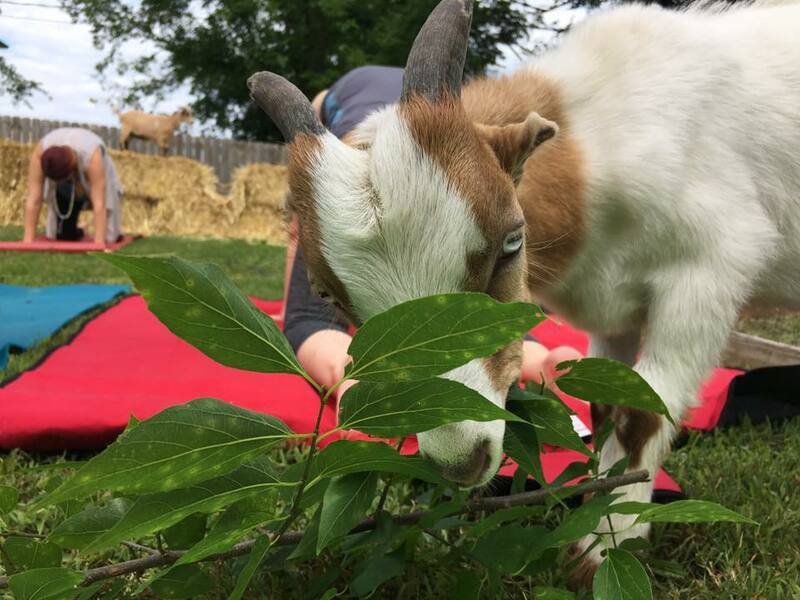 These particular Nashville goats aren’t just yogis — Shenanigoats is another goat-led Middle Tennessee landscaping company that we didn’t come across in our first look around. Like the other teams we wrote about, you can hire Shenanigoats’ flock to come stay on your Nashville-area property and clear out any invasive plantlife, efficiently and thoroughly. But the humans on the Shenanigoats team saw how much good “smiles, laughter and connecting with nature” did for folks who spent time with the flock, and Goat Yoga was born. The goats don’t lead the class — everyone would probably spend an hour chewing on kudzu that way. But they frolic and interact while you practice, so Goat Yoga participants get exercise, entertainment and inspiration from classmates who are particularly adept at just being. 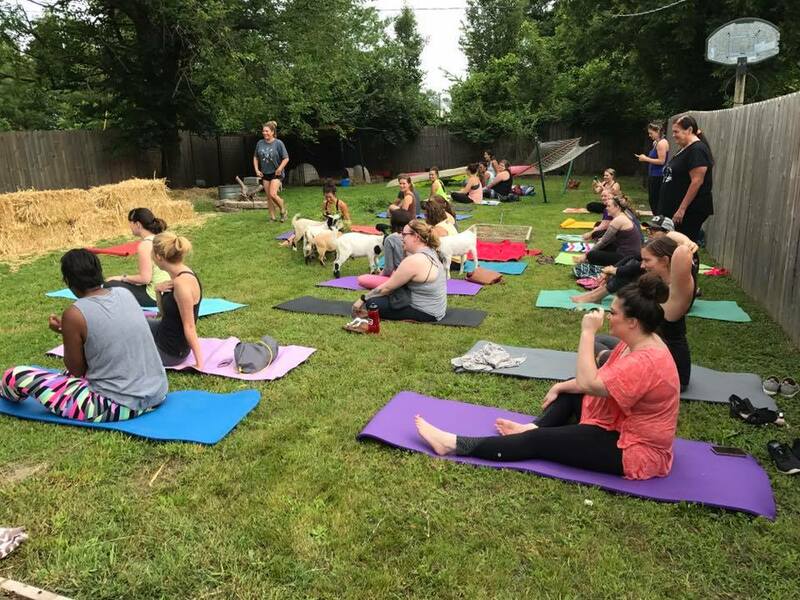 The first Goat Yoga class was held in early June in Inglewood, led by Jenna Wolf of The Lotus Room near Music Row. It went over so well (unsurprisingly) that a bunch of other classes have been added to the schedule, with several other instructors, including BarreAmped instructor Lori Winter and yoga instructor (and owner of East Nashville restaurant The Wild Cow) Melanie Cochran. 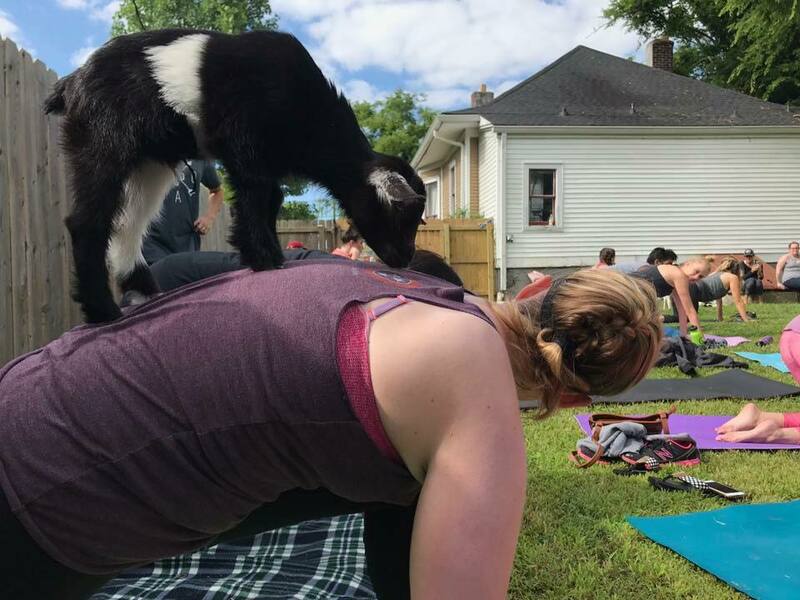 Nashville Goat Yoga classes are on the books now running into August, but — again, unsurprisingly — they’re selling out quickly. Tickets are $25 a person, and you can grab your spot via Eventbrite. Learn more about Shenanigoats Yoga on their Facebook page, or by following @shenanigoatsyoga on Instagram. If you end up at any Shenanigoats Goat Yoga sessions, please tag us in your Instagram/Facebook photos. We can’t get enough. Trying to find a home in Nashville with a yard large enough for goat yoga practice? We’d love to help you find it. Call or email ACRE here, or start your Nashville househunting process by filling out this quick form.